I find that the best way to recharge a parched winter complexion is by using face masks. Sometimes I buy them, but other times when I can't be bothered to leave the house to buy them, probably because of the weather, (ugh, I hate the rain) I make them myself. The great thing about this is that you can tailor them to your own needs and use the things you find lying around in the kitchen. 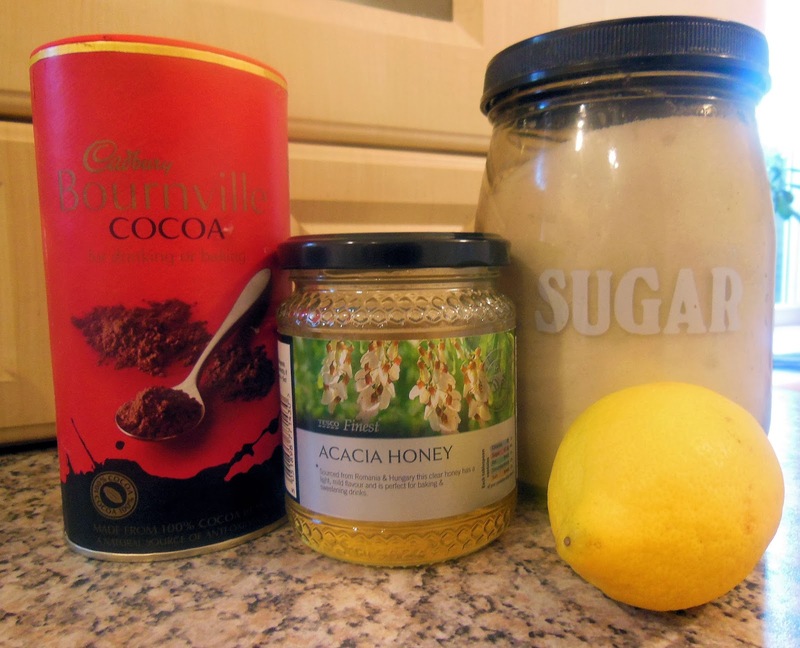 Chocolate face mask: Ingredients- 1 tbsp cocoa powder, 1 tbsp spoon honey, 1 tbsp natural yoghurt. I love this as it smells lovely-its like desert, but for the face! Chocolate facials can be hard to find ready made so this is is a hidden gem for many. Mix everything together and apply avoiding the eye area. Leave it on for 20 minutes. This can help fight free radicals and tightens skin, while also giving it colour. All fruits contain vitamins and are good at tightening the skin. Some are even tailored to benefit different skin types. Peach-Softens skin and for all types and ages. Melon- Soften and refreshes. For all skin types and to calm the skin. Apple- For oily skin and to illuminate the skin and to fade scars. Strawberry- For oily or mixed skin and also to give colour to it. Plums- Purifies the skin and tightens pores. Kiwi- The seeds gently exfoliate and is used for oily skin. Pineapple- For mixed and oily skin. Mix together so it becomes a paste and massage onto skin. Let it dry a bit so it becomes less sticky (about 5 minutes) and then wash off. The lemon improves skin tone while the honey hydrates. My favourite quick fix. Oatmeal facial: Ingredients- 1 tbsp natural yoghurt, 1tbsp oatmeal. Oatmeal is well known for being able to fade acne scars, and the yoghurt hydrates the skin. Mix and apply a thick layer to the skin, then wait for 25 minutes to remove it. Excellent for treating irritated skin, pimples and more. One of my favourite things to do is apply them while in the bath- the heat will steam open pores, allowing it to sink more deeply into your skin. After removing them also splash your face with cold water to close your pores. What do you swear by to treat your skin?